Mankind is one of the subsystems of the nature. Its existence - depends on our knowledge of laws of nature as well as our skills to apply them in our practical activities. Taking into account the regular natural changes, such as climate changes, sea transgressions and recedings, periodicity of earthquakes, and other phenomena linked with the cycles of the Sun's activities allow people do longterm planning of their activities. The registration of tectonic and neotectonic structures of the Earth make it possible to do territorial planning placing the zones of man's activities outside the cracking zones of the Earth’s crust. Taking into account the climatic peculiarities of a territory permits to take protective measures against unfavourable climatic effects, etc. Investigating the nature a man finds new kinds of natural effects. He looks for ways how to protect himself, limits his activities and develops Standards, passes lows regulating the human behaviour in certain natural conditions. Some legislative acts have already been adopted taking into consideration all the natural effects mat a man is able to perceive with his sensory organs. The 20th century has experienced new discoveries of natural effects that we do not feel physically but which can be detected only by different devices, however, they are leaving a very strong impact on our organisms. Firstly, these are weak geological and geophysical effects. These are the factors that influence the health and activities of people and organisms in the biosphere. Heliophysical and anthropogenic radiation exerts analogous effects on the biosphere. The existence of non-visible effects has been documentary proved and is being studied, but it is extremely slowly being introduced into practical economic activities of different countries. Only such factors as radioactivity and radon have been world wide acknowledged, registered and accepted by law as the factors leaving influence on the health of people. 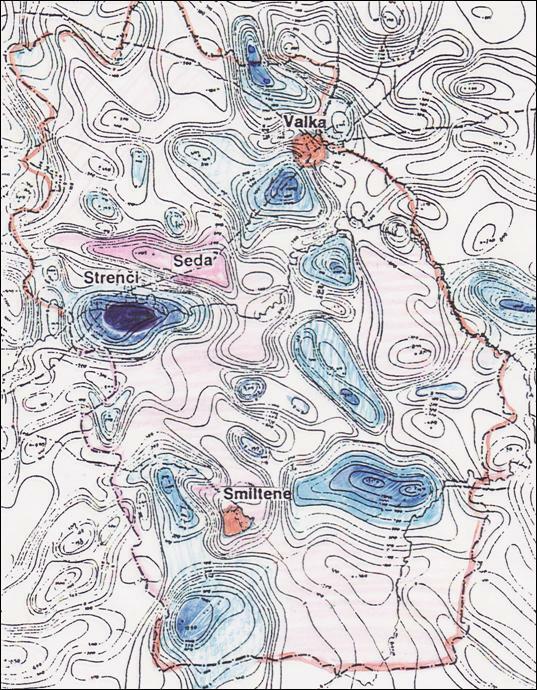 Other geological and geophysical factors, such as gravitation, electric and magnetic fields of the Earth, many sided effects of green reeds in the zones of tectonic violations of the Earth's crust and geochemical effects have not been taken into consideration yet in territorial planning, town building and health care. The only field where non-visible factors have been regarded as leaving influence on health is cosmonanties and cosmic medicine. However, the knowledge about relationships and effects of geophysical and other geological factors on (lie health of population is none the less important on the Earth too. Investigations carried out by the Sector of Urban Ecology of Building Research Institute of the Republic of Latvia during the recent 10 years have shown a very strong correlation of dependence between die health rates of the population and geological and geophysical parameters of environment. This paper deals with the influence of the magnetic fields of the Earth on the health of the population of Latvia. 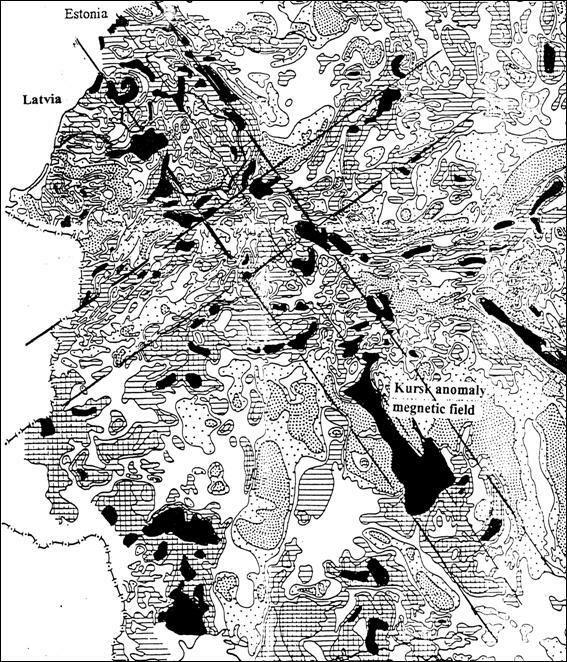 The permanent magnetic field of Latvia is characterized by a big number of anomalies. The permanent as well as the variable fields are highly activated. The central and the western part of the Kurzeme peninsula may be an exception with practically no magnetic anomalies. Investigations made by the scientists world wide have shown that anomalous magnetic field leaves its effect on the immune and nervous system. The weakening of these systems leads to serious mental illnesses, disorders and disturbances of different organs exerts influence on heredity and causes the growth of inborn anomalies. . Some-Sources in literature underline the correlation of effects of electromagnetic fields with illnesses causing cancer. . Magnetic anomalies decrease the reproductive functions of organisms. Long stays in the zone of magnetic anomalies lead to infertility. Canadian geologist J.Crane placed vome bacteria in an artificial magnetic field and came to the conclusion that the ability of bacteria to reproduce had decreased by 15 times . Table: 1. shows that the natural growth of population in all villages located in the zones of magnetic anomalies is lower than the minimum required. The influence of magnetic anomalies is very strongly pronounced in Strenchi an villages of Launkalne and Pedele. * The minimum rate of natural growth necessary for reproduction of the population is equal to 8-10 people per 1,000 people a year. The town Strenchi is based in the biggest anomaly of the region (2500 nTl). The disastrous effect of the magnetic field on the nervous, cardiovascular and reproductive systems is remarkable. A mental hospital is located in Strenchi. It has become the biggest of its kind in the country ignoring the unsuitable natural environment of this region. Cardiovascular diseases and diseases linked with disturbances and disorders of nervous system (diabetes insipidus) are popular among the population of the town. Natural growth does not cover natural reproduction of the population There is a certain anomaly among newly born (more males than female arc born). Suppression of reproductive functions of organisms in anomalies of magnetic fields is favourably used for treatment of tuberculosis. Inability of TB bacteria to multiply allow to cure the patients with good results (sanatorium in Tervete - 1500 nTl, in Strenchi - 2500 nTl). Mortality rate and the natural growth ratio of the population in towns and villages located in the zones of magnetic anomalies of the Earth testify to the fact that, it is necessary to take all these anomalies into account when doing territorial planning. Magnetic anomalies are not suitable for permanent dwellings and must be used for other purposes. The biological influence of electromagnetic fields "Science" V 249,N.4975, 1990., 1378-1381 p.p. USA. Udincev N. et. alt. The magnetic field influence on spermatozoon University of Tomsk, 1980, 127.p.